The new fund, which has been established to celebrate the company’s centenary, will provide large grants of £25,000, £15,000 and £10,000 to groups promoting health in local communities during July and August, and to all community groups in November and December. Since 2016, Tesco has donated a total of £119,813.00 to 26 projects in Erewash. “Right across Erewash we have some fantastic charities and community groups that are already benefiting from Tesco funding, but there are many more yet to get in on the action. “I hope that groups in our area will consider making an application to the new centenary fund and would like to take this opportunity to thank them for the work they do to support residents and improve our local area. 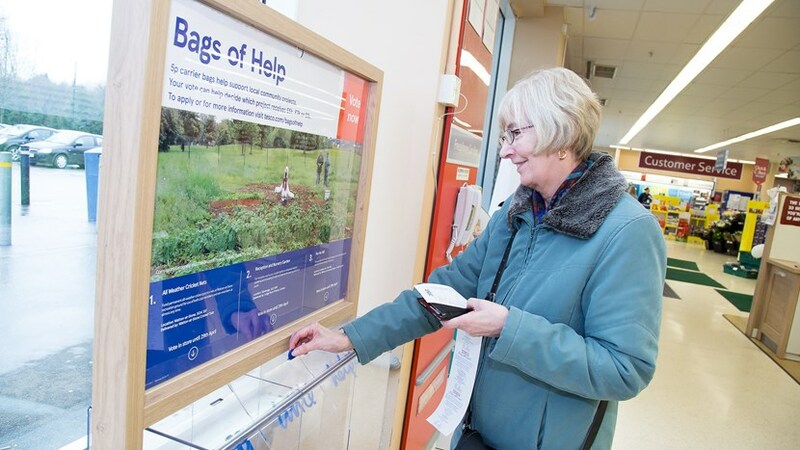 To find out how your community group can apply to Tesco for funding, visit www.tesco.com/bagsofhelp.